I received a travel backpack to facilitate this post. 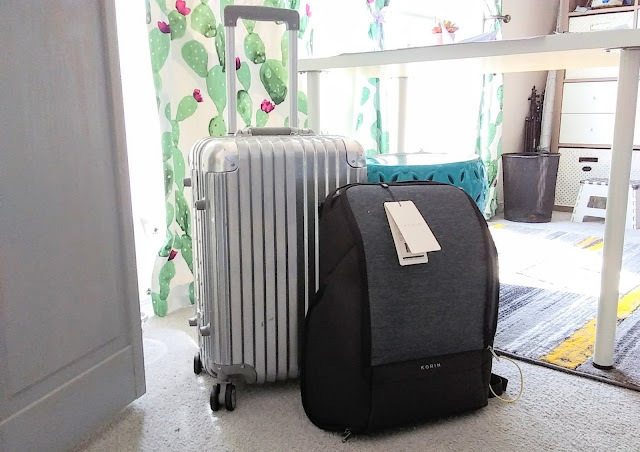 When I travel for work, I tend to travel solo so I always am on the lookout for travel products that will keep me safe. 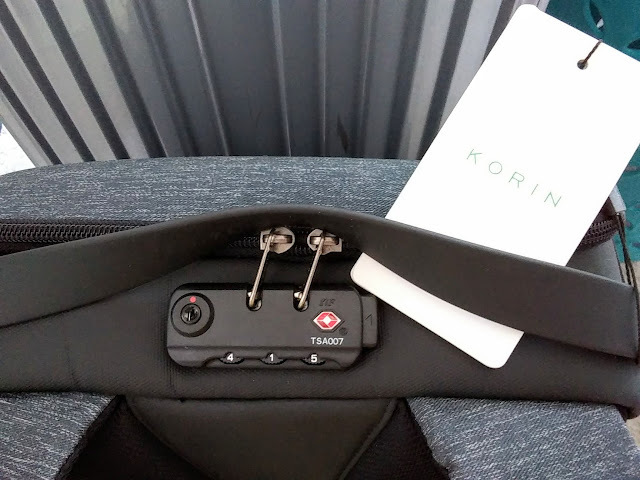 The last thing that I need when traveling to a blog conference is for my items to be stolen. Just the fact that I am a female traveling alone can make me an easy target for thieves. 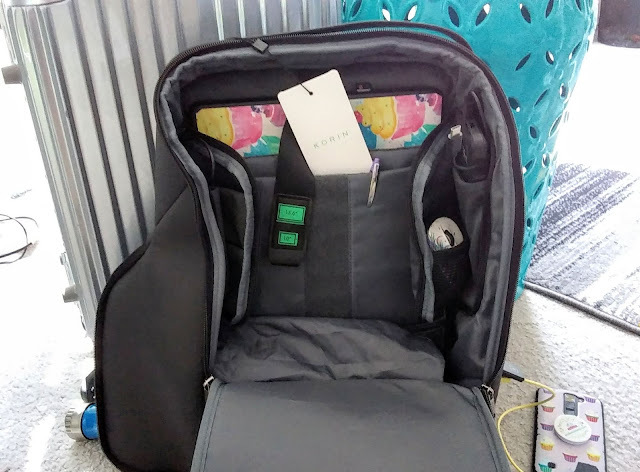 So I decided to pack my items like my computer in an Anti-Theft, Smartphone Friendly Backpack over my laptop bag that I was using. Backpacks have become the new purse for me when traveling as they hold so much more and are way easier to carry through a busy airport. So when I decided that I needed a backpack that would have lots of storage so I could pack everything that I needed while traveling. 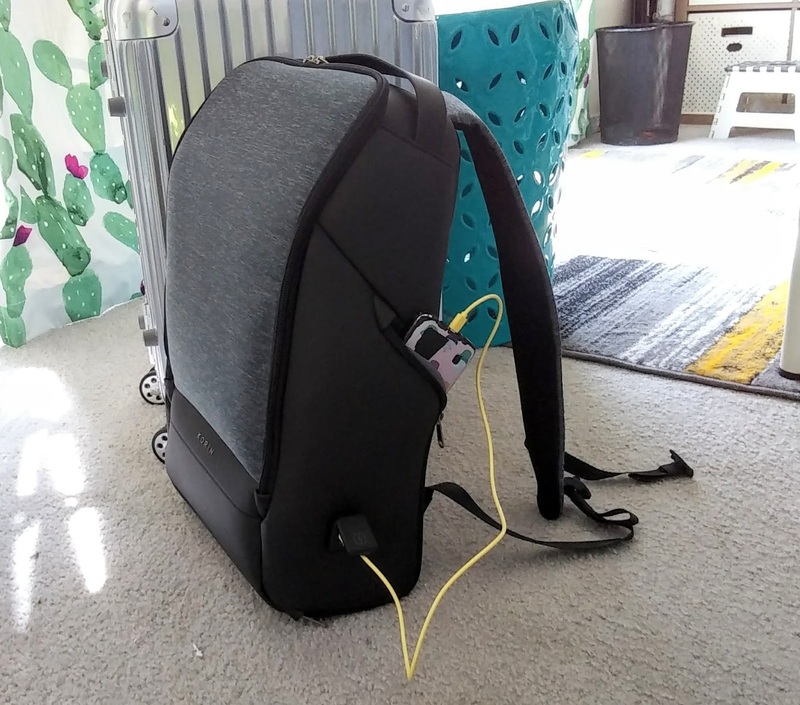 I wanted a fashionable backpack that had lots of zippered pockets so I could stash all those cords and chargers. I discovered a travel bag that had tons of zippered pockets so I could easily find what I needed without having to empty things out of my bag. 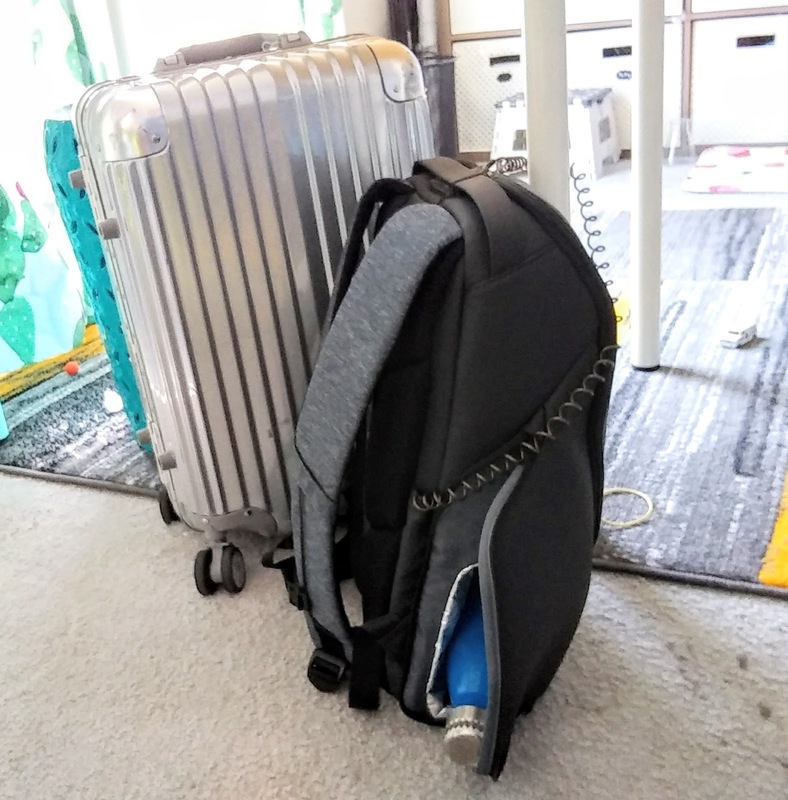 This lightweight travel backpack had 4 gallons of storage capacity and also included a TSA-approved zipper lock so I did not have to worry about a thief taking something out of my bag. That was a great feature for me as we all know how easy it is to get distracted when you are traveling. This backpack also had a steel coil that extended out of the backpack so I lock my bag to a chair, that way I could concentrate on my computer work instead of watching my bag. The external USB and micro USB charging port on my new backpack made charging my phone so simple. That way I could use my phone while it was charging. I also love that this water-proof bag had a leak-proof insulated pocket for my water bottle so I did not have to worry about my computer or papers getting wet. This backpack sure does make traveling by myself so much safer. It has plenty of space for everything that I need from my laptop to all those cords. There is a pocket for everything so finding what I need is super easy. When I travel, I don't always eat right and my bathroom routine is different. Then I get constipated and this is never fun when on vacation. Does this happen to you? Well, you need to pack this one awesome product in your suitcase. I am happy to say I no longer experience traveling potty problems! I discovered Regular Girl and my gut is very happy when traveling. 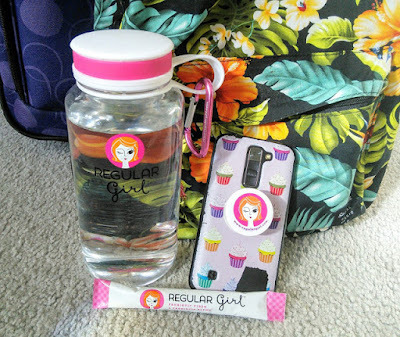 Regular Girl is an amazing Prebiotic Fiber & Probiotic Blend that keeps my potty habits regular. This easy to use product helps me to be able to go. I just sprinkle the tasteless powder over my food or mix into a drink once a day. It is so easy to blend Regular Girl into my juice and breakfast time. 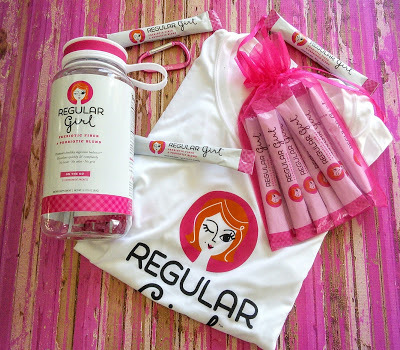 One packet of Regular Girl daily keeps my gut happy and I have no problems in the bathroom department! You will love that this product is natural, vegan, non-GMO, and gluten-free! If you do any amount of traveling for work, this is the travel backpack that you need. It also makes a smart backpack for school and would make a great graduation gift. I will be bringing this stylish backpack to the Albuquerque Balloon Fiesta this year as I can stash my camera and everything else that I need while looking at all the hot air balloons. Do you love traveling and want to travel for free? Check out how I earned $600+ for airline flights this year with an amazing travel rewards card. 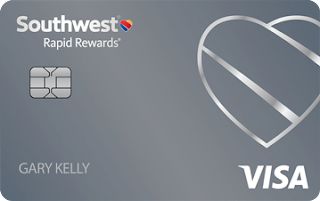 I received 40000 points just for signing up for the Southwest Rapid Reward card and that gave me enough points for 3 roundtrip flights. I also earned three free nights at my favorite hotel. Go HERE to learn more so you can travel for free. There is nothing better than traveling in total safety. I am preparing to redo the travel kit for the summer holidays and these are excellent products to consider. These are some wonderful items for people who are looking to travel. As you need to make sure you are as safe as can be. I could definitely do with the lock. Oooh I totally want one of those! Hubs and I have been traveling more lately and this would be awesome! I definitely hate having to travel solo. Anything to make it safer and easier! I have to look more into this. My husband is about to go in some business trips, and this backpack looks nice. 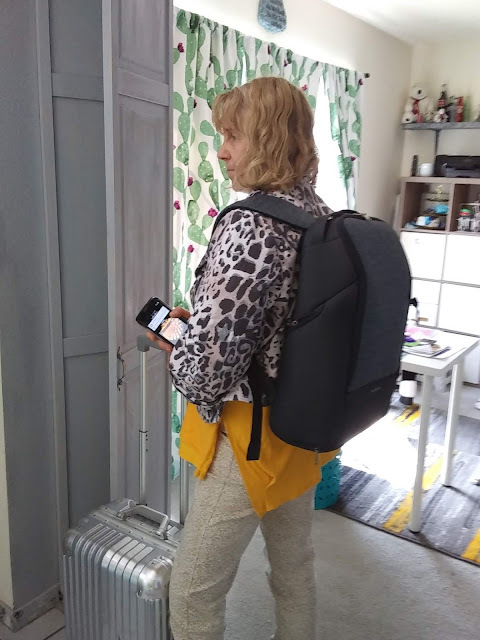 This looks great product I love charger in back pack. I need to get it for myself.